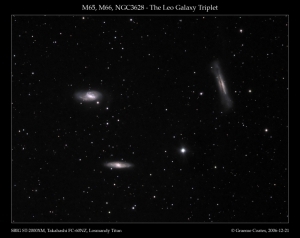 The famous Leo Triplet is a small group of three spiral galaxies (namely, M65 (NGC3623 – bottom-left), M66 (NGC3627 – top-left) and NGC3628 (right)) that is located about 35 million light years away between Theta and Iota Leonis. 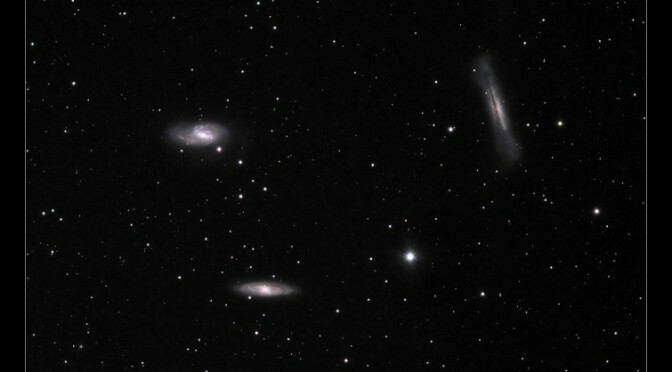 All three galaxies are readily visible in a small telescope, though NGC3628 tends to be the hardest of the three to spot. 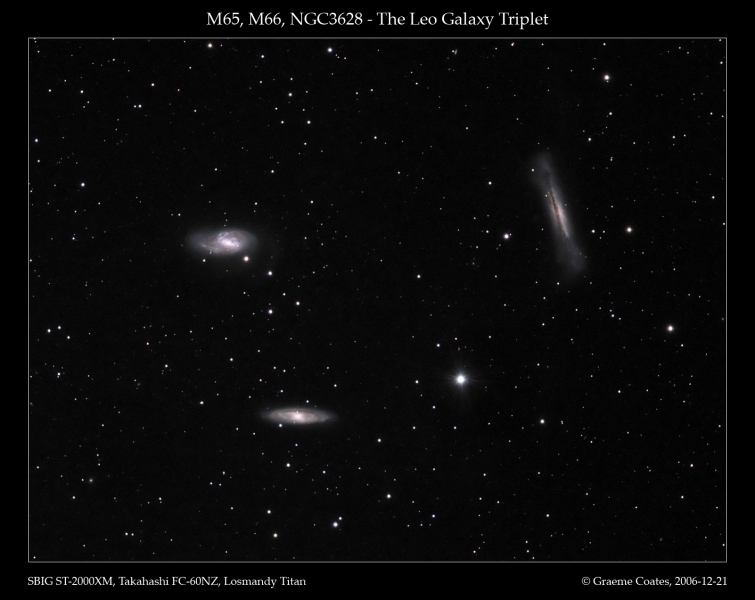 Additionally, the smaller galaxy NGC 3593 (not shown) may also be a member of this group. 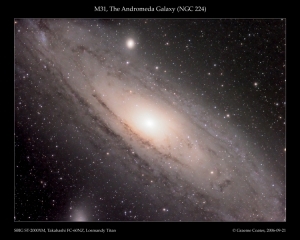 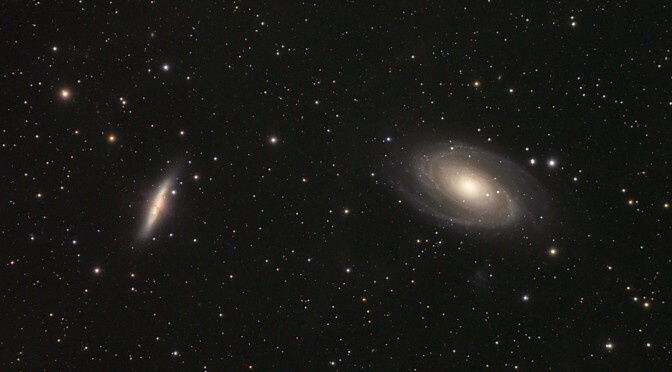 M81 and M82 in Ursa Major are two of the brightest members of the M81 group of galaxies. 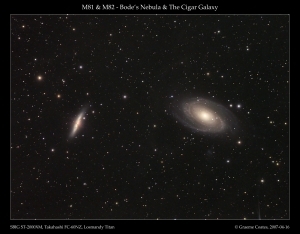 M81 (often called Bode’s Nebula after being discovered by Johann Elert Bode in 1774) is a large bright spiral approximately 12 million light-years distant, whilst M82 (the “Cigar Galaxy”) is an irregular starburst galaxy, highly disturbed by gravitational interaction with other members of the group. 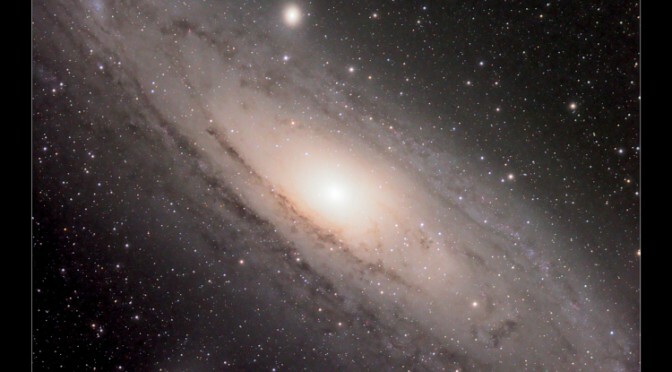 In the region of M81 and M82 (and across large parts of the northern sky), there is a large faint nebular complex associated with dust and gas expelled from the plane of the galaxy. 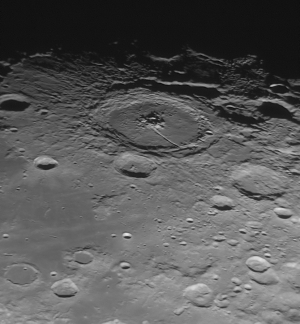 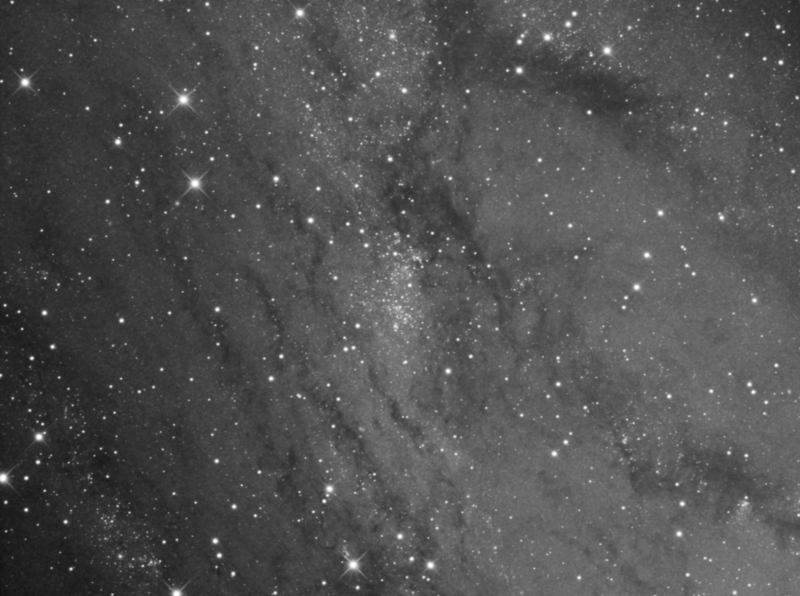 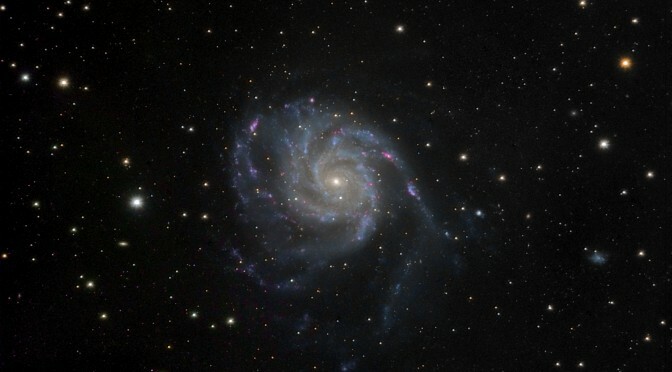 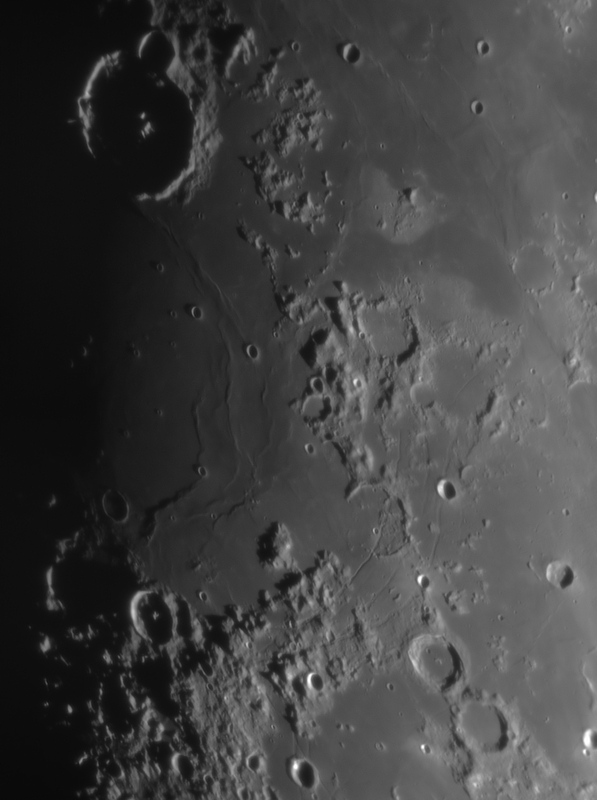 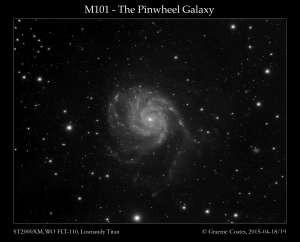 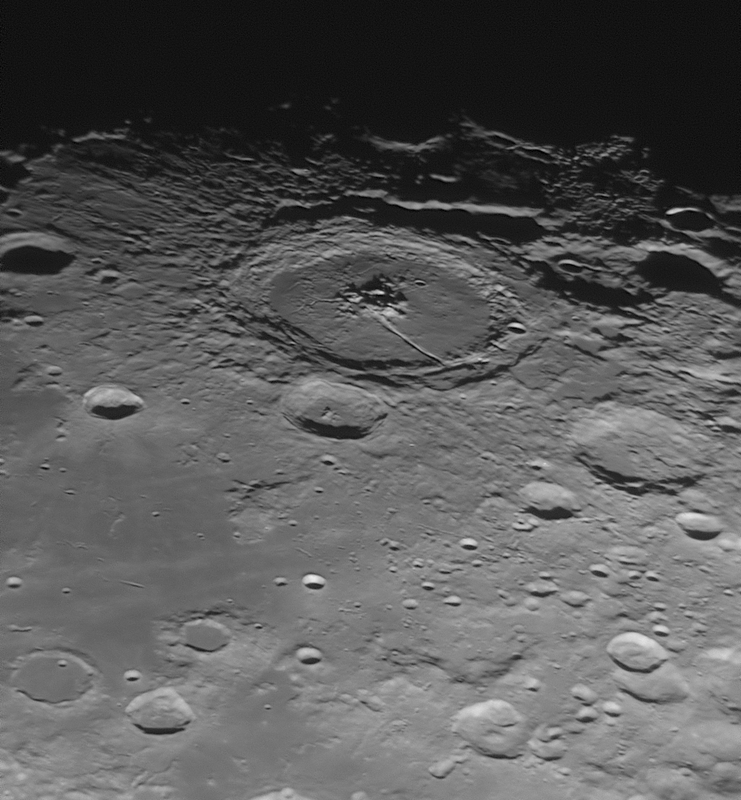 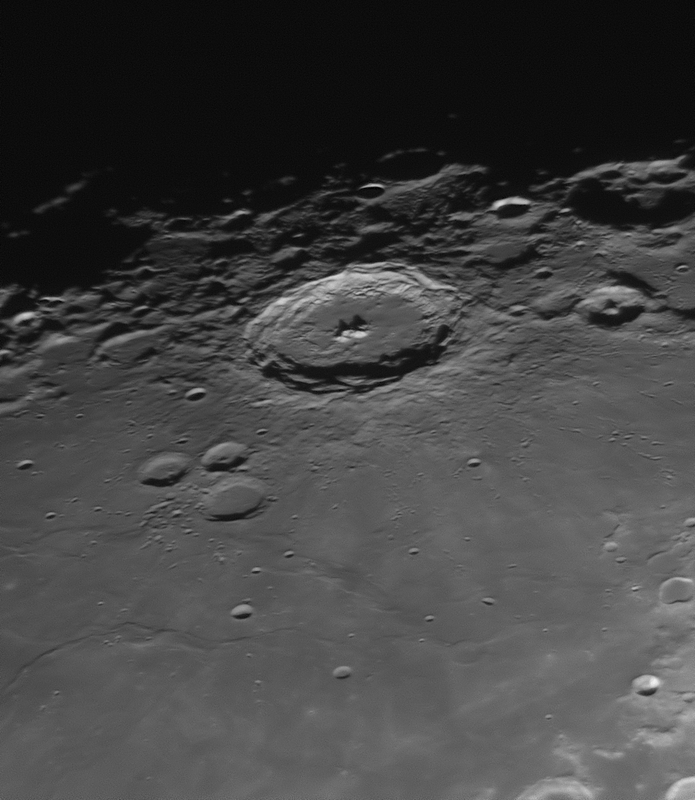 The region here is part of MW3 (Mandel-Wilson Catalog of Unexplored Nebulae) and the faint dusty areas show up faintly in a strongly stretched image of the region. This has been refered to as an “Integrated Flux Nebula” since it reflects the galaxy’s light rather than that of a single star. Also visible is Holmberg IX (below M81) which is a small, faint blue irregular galaxy also in the M81 Group.